Dr. Robert McIver's 'Arioso Grazioso' is a gentle, flowing piece with a lovely melody line above lush chords. The pedal part is rather simple. 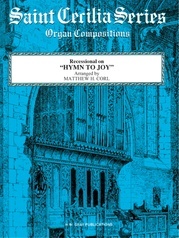 This work will make a wonderful offertory selection and can also be used for communion, funerals and more. It is sure to be played often!